The Syrian Observatory for Human Rights said on Wednesday an Israeli attack on Iranian military facilities south of Damascus had killed at least 15 people, including eight Iranians. The reports of an Israeli attack in the Kisweh area late on Tuesday followed US President Donald Trump’s announcement that he was pulling out of the Iranian nuclear deal. “The number increased to at least 15, including at least eight Iranians, killed by the missile strikes,” the British-based Observatory reported. On Tuesday, Syrian State media said that its air defences had brought down two Israeli missiles, while a commander in the regional alliance backing Damascus said Israel had hit a Syrian Army base without causing casualties. 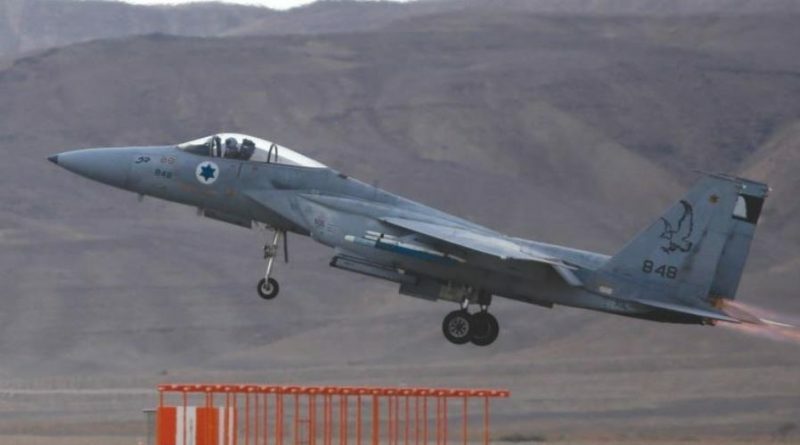 Israel’s military declined to comment on the reports, which came shortly after it said it had identified “irregular activity” by Iranian forces in Syria and went onto high alert. Iran is a major supporter of Syrian President Bashar al-Assad’s military and has deployed Revolutionary Guards forces, along with Shi’ite militia groups from the region, including the Lebanese Hezbollah, to help him in the war. Israel regards Iran as its arch enemy, and Hezbollah as the biggest threat on its borders. It has repeatedly struck Iranian and Hezbollah targets in Syria, partly to stop any weapons transfers between them. Iran said a 9 April attack in Syria killed seven of its military personnel and it would retaliate.